Presidential spokesman Salvador Panelo belittled Sison’s influence in the communist movement, saying the rebel leader no longer has control over the Maoist forces on the ground. MANILA, Philippines — The government panel to be formed to resume talks with communists would not negotiate with rebel leader and President Duterte’s critic Jose Maria Sison and his followers, Malacañang said yesterday. “It doesn’t matter whether (Sison) likes (it) or not,” he said when asked about Sison’s opposition to Duterte’s plan to create a new negotiating team. “(We will talk to) those who are not listening to him. We feel he is no longer being listened to,” Panelo added. Panelo said the localized peace talks would continue even if the President forms a new panel. 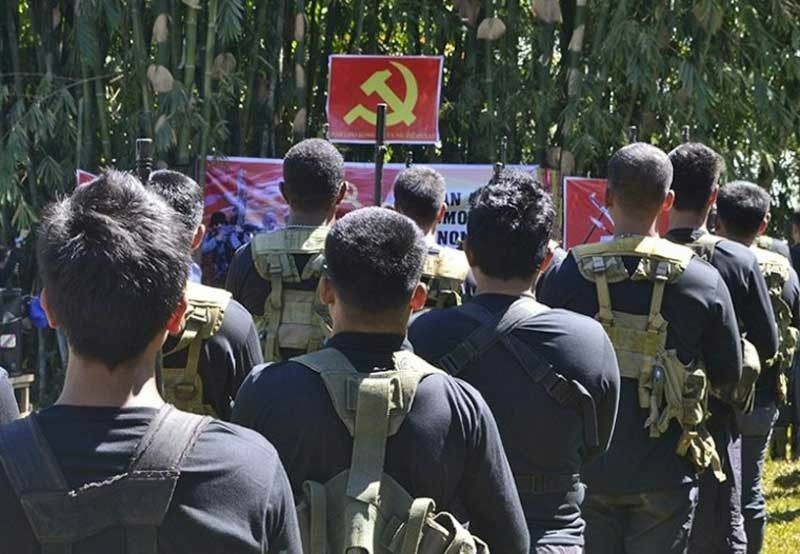 Duterte scrapped the talks with communists after its armed wing New People’s Army (NPA) launched successive attacks against civilians and government forces. The President has also accused the communists of pushing for a coalition government, a setup that he said would violate the Constitution. Last Saturday, Duterte said he may create a new panel to negotiate with communists almost a month after he declared the permanent termination of the talks. The President said the negotiating panel would be composed of at least two civilians and three military officers. Sison rejected Duterte’s plan, saying the President was bent on forming a “war panel” because he wanted to increase the number of military representatives in the talks. The rebel leader also predicted that the new panel would demand the surrender of NPA members. The Armed Forces of the Philippines (AFP) welcomed the President’s plan. “He must also accept the fact that there are many roads towards peace but the road he has taken is not one of them,” AFP public affairs office chief Col. Noel Detoyato said yesterday. “Let’s go local. Let’s help each other here in the Philippines. The problem is here, not in the Netherlands,” Detoyato added. He noted that 50 years of deception, lies, exploitation and extortion of the indigenous peoples allegedly by the CPP-NPA are more than enough. “We are prepared to offer not only the hand of peace but the whole arm if need be,” Detoyato said. The Philippine National Police (PNP) also welcomed President Duterte’s plan to revive peace talks with communist rebels. PNP spokesman Col. Bernard Banac said they support Duterte’s plan to form a new peace panel to negotiate peace with the CPP. However, he said law enforcement operations would continue against the rebels, especially those with pending arrest warrants. “The PNP support the peace process but while nothing is final, the localized peace talks and enforcement of laws will continue,” Banac said.